In short, this country gives the impression that it doesn’t much care about such kids. We have an astonishingly under-resourced, deprioritized, and inchoate system of school supports for kids on the right side of the academic distribution. Though the project was designed to identify what’s happening in this field, I spent much of my time studying the dog that seldom barks—trying to figure out why there is so little activity in this field. I’m now of the mind that American-ness might be at the heart of the problem. There is something quintessentially American about beating the odds, bootstrapping your way to success. Think of the waves of penniless immigrants who came to our shores and made their marks, the hardy souls who crossed the plains and mountains to realize their destinies. This is the stuff of The American Dream. Yeah, that makes sense. It’s America’s disdain for supporting excellence that causes our neglect of high-achieving kids. It’s America’s fault that we had to end tracking. We had tracking? How could that be? How could America, land of the bootstrapping immigrant, ever have supported an elite notion like tracking, putting advanced kids in challenging classes to help them excel? Smarick must explain that….no, hang on. Smarick doesn’t even mention the word tracking, not once, not even to chastise us for giving it up. That’s odd. Never mind. We’re Americans. Once we realized that our schools were unjustly elevating our smart kids, we instantly moved to eliminate the practice. That’s why we had a whole de-tracking movement—one more thing that Andy Smarick should be lecturing us Americans on….wait, he doesn’t mention that, either. Why doesn’t Smarick mention the landslide of support for ending tracking, the huge groundswell of outrage that swept the country as schools quickly moved to rectify the horrors of tracking? Well, for starters, it never happened. Most schools with honors or advanced tracks had to be forced to end homogeneous clssrooms with lawsuits or the threat of same. There’s a whole subcategory of academia dedicated to congratulatory tomes about the success of detracking litigation, along with lots of condescending advice on detracking voluntarily to avoid lawsuits. More generally, Smarick doesn’t mention tracking at all, not once in a piece bemoaning the US ill treatment of gifted kids, because it would kill his narrative. American education tracked by ability for most of its history. Most parents adamantly opposed detracking, as did many teachers—damn sure most math teachers. It took the courts to end tracking. So Andy Smarick appears to think that Americans sneer at the very idea of educating smart kids, despite the fact that the country had to be sued out of tracking, which makes him either dishonest or stupid. I confess I’m not fighting the latter possibility. It’s hard not to decide that he’s clueless about the systematic decimation of ability grouping in our public schools. After all, he’s spent the last year pushing his last book, which had not the teeniest, tiniest, slightest thing to do with high-achieving kids, and the decade before that he was all about closing the achievement gap. I am not of the wonk world, and mysterious are their ways. But it appears that reformers have decided it’s time for a pivot. Reformers have gotten the memo: parents are annoyed by the focus on the achievement gap. Rick Hess tried to warn his fellow reformers a couple years back about their “achievement gap mania”, which would have been a perfect opportunity for anyone concerned about our neglect of gifted kids to speak up. Hess features this neglect as a key issue in his essay. So Andy Smarick was right behind, chiming agreement, right? Not anywhere that google can find it. What comes right up when you google “Andy Smarick” “Rick Hess” “Achievement Gap” is Andy reassuring Rishawn Biddle that yeah, Rick’s “controversial” on the achievement gap (you know, all that worrying more about smart kids) but his stuff on Common Core is solid, dude. In 2002, he was castigating public schools on special ed, because “all children can learn”. In 2011 he was trying to save Catholic schools, which succeed because they believe that “all children can learn”. A year ago, he was still bragging about New Jersey’s scores for low achieving black and Hispanic kids, conspicuously uninterested in how charters were handling the high achievers. And when pushing his last book earlier this year, he was all about the high achieving kids who might be discombobulated by randomly closing schools that had too many “failing students”. Yeah, I made that up. In fact, he was eager to close down all those broken school districts, presumably because they didn’t believe that “all children can learn”. Here’s the results for “Andy Smarick” tracking. Not an area of interest for Mr. Smarick. But that was then, this is now, as Common Core approved author S. E. Hinton wrote. Then, reformers handled the whole issue of ability grouping gingerly. Michael Petrilli, hawking his book telling other people to send their kids to “diverse” schools, pushes differentiated instruction in All Together Now—except sometimes. Then, Katherine Porter-Magee tsked tsked the idea of ability grouping—a really good teacher, she says, can eradicate much of the difference caused by ability. But maybe, sometimes, around the edges, grouping by ability would be okay. Odd to remember that, back in the late 80s, conservatives opposed detracking. But then they gave birth to the reform movement, and dropped the idea of tracking and ability grouping because it served their purposes to do so. Charters don’t have nearly as compelling a story, no, not even in low-income schools, if the motivated kids can be kept separate from the kids who just don’t want to be there. So reformers largely abandoned their opposition to heterogeneous classrooms, since “all together now” is a policy that continues to prevent top kids from achieving, thus allowing them to target “failing” schools and push charters. Instead of tracking and giving kids the education they need or want, the reform movement spent nearly fifteen years pushing the mantra, as Andy repeats time and again, that “all children can learn”. But “now” is not “then”, and so, the pivot. Now, Brandon Wright argues that the vital element of hard work is more essential to success than intelligence, but that in order to make smart kids work hard, we need to differentiate—not instruction, but classrooms! Hey, did you see how sly he was, there? The whole article never once mentions the word “tracking”, talks about differentiation, but right there, under the covers, there’s a push for putting all the smart kids together so they don’t get lazy! It’s all in the name of hard work! Now, Andy writes a passionate clarion call to action, a Big Question for reflection amongst education reformers: What is my organization doing for the highest-potential students? What is our reform movement doing for them? Great question, Andy. What, exactly, have you been doing? Not that anyone will notice. Reporters will interview him and he’ll be invited onto panel discussions, and over time he’ll study up and look less stupid about pretending Americans didn’t care about smart kids, and no one will say, “Wait a minute, weren’t you talking about how ALL KIDS CAN LEARN just last year?” Because everyone knows the game. Naturally, reformers (or anyone else) are reluctant to acknowledge that “smart kids” exist on a spectrum with “average kids” and, forgive me, “not smart kids”. Reformers never hesitate to label schools with low scores “failing” without ever once acknowledging that these schools might just possibly have a deficit of smart kids—or even, troubling as this is for everyone, a surfeit of kids who aren’t either smart or average. Much easier just to pivot around the unpleasantness and talk out of both sides of their asses mouths. All Kids Can Learn! pivot left We Need Schools For Smart Kids! pivot back We Must Save Failing Schools! pivot wait, where the hell was I? Our Nation Needs Its Best Brains! Progressives, at least, are consistent. They’re wrong, too, but at least they have the courage of their convictions. Unlike any reformer, I’ve been so consistent in my support of tracking that I nearly got kicked out of my elite ed school. 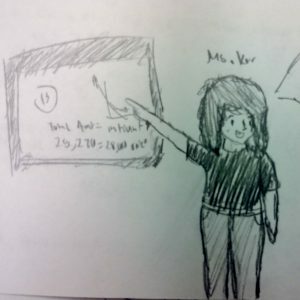 Unlike any reformer, I’ve taught kids with several years’ range of abilities in both math and English, and I’ve taught classes composed entirely of kids with extremely weak math skills. I know quite well that not all kids are smart, that “all kids can learn” at their own pace and to their own limits, set both by ability and desire. And so, I find the pivot simultaneously disgusting and amusing. Disgusting because the movement will now undoubtedly call not for tracked classrooms, which don’t help charters, but tracked schools. Hey, suburbans, worried about the influx of poor, near-illiterate kids in your classroom? Start a charter for smart kids! Disgusting because reformers are already blaming schools for another failure that was pushed on them by litigation and laws that ignore education’s reality. Disgusting that reformers like Smarick are now pretending that America just doesn’t “get” the need for helping high-achieving kids—as if it wasn’t reform’s signal legislation, No Child Left Behind, that finally killed any ability to give stronger students their due. As if Common Core standards, which many reformers hawk, aren’t an explicit statement that all children can achieve at the same level. Amusing because…..well, hell. Because if I don’t laugh, what’s left?